Even if your credit is in what is considered to be a good range, boosting it a bit never hurts. Increasing your credit score becomes very important if your score is within the lower range. Living with a low credit score can be difficult, especially if you plan on buying a home or any other major asset. Repairing a credit score takes time and discipline, but there are ways in which you can raise your score quickly. You won’t be able to get over bankruptcy or foreclosure overnight, but the higher you can get your credit score, the more chances you will have of being approved for a loan. Here are a few tips that can help you quickly improve your credit score. Having too much debt can hurt your credit score. Using more than 30 percent of your credit limit on your credit card can actually lower your credit score, so it’s better to pay off the larger balance and use other cards with a low balance instead. Spreading the debt among several credit cards is also a good idea, as long as you remember that you can end up paying a larger interest rate. You are entitled to one free credit report check per year, so take advantage of it and look over it closely in order to find any errors or misinformation. Credit reports are usually pretty accurate, but it’s always a good idea to check. Even a small error which may not seem too important can hurt your score and affect the interest rates that you will receive, or even your ability to take out a loan. When checking your credit report for errors, make sure that you look for any erroneous information on your payment history and credit limits, missed or late payments that were actually made on time, and billing disputes that you have won. Notify the credit bureau about any error, no matter how small it may seem. The bureau will open an investigation and resolve the issue within 30 days. Having too much debt will surely affect your credit score in a negative way. Getting rid of some of that debt is helpful, especially if you can pay off larger debts. Generally, it is better to access some savings or investments in order to pay off some debt and increase your credit score, than to get a mortgage loan with a low credit score and end up paying thousands more in interest. Unless you and your creditors have had multiple incidents, or you have a really big negative spot on your credit report, you can simply ask your creditors to remove a negative item from your report. This will probably only work with minor items, but having several removed can really help your credit score. Remember that removing an item from your credit report usually works better right after the incident, and not months or years later. If you are able to pay off some debt, but don’t want it to show on your credit report, you can negotiate with your creditors. Ask them not to report the unpaid debt in exchange for you paying it off. Getting their money is more important for creditors than hurting your credit score, so they will usually accept. These tips will help you boost your credit quickly, but you won’t go from bad credit to good or perfect credit overnight. Repairing your credit will take a few years, but doing everything in your power to help it recover is very important. So start by checking your credit report for errors, come to an agreement with your creditors and pay off some of your debt, and you will be on the right path to repairing your credit score. What is a Mortgage Credit Score? A new type of credit score, designed especially for mortgages, was released in 2012 by the Fair Isaac Corporation (FICO) in collaboration with data firm CoreLogic. This new type of credit score will serve as another tool that, together with the traditional FICO score, will help more people become eligible for a mortgage loan. The FICO Mortgage Score Powered by CoreLogic will contain information that other credit bureaus, such as Equifax, Experian and TransUnion, don’t include in their credit reports. This should paint a complete picture of whether you are financially responsible or a risk for default. Information on your rent payments or child support payments will be included in this new credit report, and will be taken into consideration when determining your credit score. The mortgage credit score will help prospective home owners who don’t have a long payment history record, which is a large part of the traditional credit score. If you don’t have enough experience with other loans, such as credit card or car loans, then this new type of scoring can work in your favor. Takes into account other on time payments. Nontraditional information, which wasn’t taken into consideration when determining your credit score in the traditional way, such as a payday loan that was repaid on time, can help you get a loan easier. Recent events in the real estate market have made it harder for lenders to evaluate borrowers, so the new credit score will also benefit them by more accurately predicting mortgage risk. It is estimated that the FICO Mortgage Score can predict mortgage risk 7.5 percent more accurately than the old FICO credit score. Other issues will affect more heavily. Home buyers with problems, such as divorce, evictions, child support, or who bought a home before the economic crisis, will have a harder time getting a loan or rebuilding their credit, because the new credit score will accentuate their issues. Unknown time frame for dispute resolution. It is unknown if consumers will have the ability to dispute and resolve any inaccurate information in their new credit report in a timely manner. 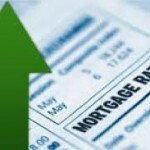 There is no guarantee that the new mortgage credit score will result in more loans being granted. Also, there are no guarantees that lenders will even use the new FICO Mortgage Score. Only smaller lenders have started using it, while big lenders are more concerned with sorting out loans with issues that they have already given out. This new credit score may have benefits on paper, for now, but only time will tell if the new FICO Mortgage Credit Score will indeed help more people become home owners. The most important thing is for you to understand your financial situation, including your credit score, which can be the only thing standing between you and home ownership. Buying a home through a mortgage loan involves many factors, one of the most important being your Fair Isaac Corporation (FICO) credit score. The credit score is a tool used by lenders to help them determine how much money they can lend to you and at what interest rates. Your credit score is included in a credit report, which is a history of all your loans and payments. As you have probably guessed, a good credit history means that your credit score will be high. If you have missed or late payments, that will lower your credit score and make you appear as a risk in the eyes of a lender. The Fair Isaac Corporation (FICO) credit score is the most popular type of credit scoring system in the United States. Your credit score is a 3 digit number that is determined by using information in your credit report, such as payment history, amounts owed, and length of credit history. This number is used by lenders, such as banks or credit unions, as well as mobile phone companies, landlords, or insurance companies to determine if you qualify for their services. There are three major credit agencies in the United States: Experian, TransUnion and Equifax. Each of these agencies use a slightly different algorithm to calculate your credit score, so checking with more than one of them is always a good idea. You can get one free credit report per year by visiting AnnualCreditReport.com. Unfortunately, there is an extra fee involved in order to receive your credit score, as well. 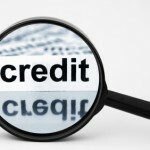 Credit reports might contain errors which will affect your credit score. You should always check your credit report for any erroneous data, and have it corrected by reporting it to the issuing credit agency. No credit. Having no credit is a bad spot to be in when applying for a mortgage loan. You are seen as a high default risk by lenders, but the good news is that having no credit is actually better than having bad credit, because it allows you to qualify for loans designed for people with no credit. Very bad credit. A credit score below 600 is considered very bad credit and it is, most likely, the worst situation you can find yourself in when deciding to become a home owner. It is very difficult to be approved for a mortgage loan without a co-signer or a very large down payment when having very bad credit. Bad credit. A credit score in the 600 to 650 range is considered bad credit and, like in the case of very bad credit, it would be extremely hard for you to qualify for a mortgage loan. Fair credit. 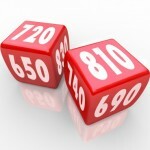 You are seen as a moderate credit risk by your lender when you have a credit score in the 650 to 700 range. A fair credit will qualify you for fairly decent rates, but you won’t have access to any special packages or the best rates. Good credit. 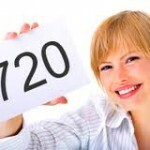 A credit score between 700 and 750 is considered good credit and will allow you to qualify for better rates and terms. Very good credit. People with credit scores in the 750 to 800 range are regarded as low risk by lenders, and will qualify for some of the best rates and options available. Excellent credit. Someone with no negative data on their credit report, and a long and spotless credit history will have a credit score of over 800, and will have access to the best mortgage loan deals and rates available from most lenders. Having a lower score can be frustrating, but credit score is ultimately your responsibility when you consider becoming a home owner. Improving your credit score takes time and patience, so prevention is the key. Making payments on time and not borrowing more than you can repay will ensure that, when the time comes to apply for a mortgage, your credit score will be favorable and you will receive a good deal, saving you lots of money. Most people come to a point in their lives when they decide to stop paying for rent or living with their parents; they decide to become home owners. Qualifying for a mortgage loan and receiving the best rates depends heavily on your credit score. Lenders will decide whether to lend you money or not, what type of mortgage you can apply for, and what your interest rates and fees will be based on your credit report. Understanding how your credit score affects a mortgage loan can save you thousands of dollars over the life of the loan. The Fair Isaac Corporation (FICO) score is the most widely used scoring method. Some lenders may use other scoring methods, but FICO is the most popular. 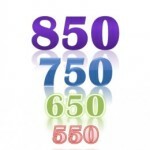 The FICO scale ranges from 300 to 850, with most people being in the 600 to 800 range. A credit score of 720 and above is considered a good credit score and it will be the most advantageous when shopping for a mortgage loan. There are three major credit bureaus in the United States, Equifax, Experian, and TransUnion, and they each use a different scoring method: Equifax uses the BEACON method, Experian uses the Fair Isaac Risk Model, and TransUnion uses EMPIRICA scoring. That means that your credit score could vary from one credit bureau to another, because each method uses different algorithms. Your credit score is determined by using data in your credit report, such as your payment history, debt owed, length of credit history, new credit, and types of credit used. Any negative information, like late payments, will lower your credit score, but positive info, like getting back on track with your monthly payments, will improve it. Lenders consider many factors, such as your employment status, your savings and salary, or your debt-to-income ratio, when considering giving out a loan. But the most important factor, the one who will have the most influence on what rates you will receive, is your credit score. Also, having a credit score below 620 will make it very hard for you to secure a mortgage. Let’s look at how various credit score ranges will affect your mortgage loan. A credit score of under 620. This low credit score will make you fall into the subprime category. A few years ago, you could have qualified for a subprime mortgage with a credit score this low. A subprime mortgage featured high interest rates and not so great terms, but it was an option. Nowadays, very few lenders still offer subprime mortgages, and are very hard to find. A way out if you have a credit score lower than 620 is by making a large down payment, as large as 50 percent of the loan cost. A credit score in the 620 to 760 range. Lenders will consider you credit worthy with a credit score in this range, but they will offer you their standard loan options, meaning you won’t receive any deals or special packages. A credit score in the 760 to 850 range. 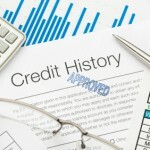 This is considered top tier credit score and will yield the best mortgage deals. You will receive the best interest rates and the lenders will give you the most mortgage loan choices. The most important part of your mortgage loan that the credit score will affect is the interest rate. You might not feel it as much month to month as you are making your payments, but even a small 1 percent difference in your interest rate can add up to thousands of dollars over the life of the loan. Your credit score is used by lenders to predict your default risk. The more at risk you are, the more your mortgage will cost, so FICO scores are necessary in order to protect lenders. The good news is that you can improve your credit score, which will improve your mortgage terms, saving you money. 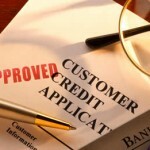 Before applying for a mortgage loan, make sure that your credit score is in a favorable range. That will make your life much easier, and get you one step closer to your goal of becoming a home owner. Becoming a home owner is a dream come true for most people. Unfortunately, you will usually have to apply for a mortgage in order to become a home owner. Mortgage loans come with advantages and disadvantages. One of the main disadvantages is that your credit score may be damaged during the home buying process. To become eligible for a mortgage loan and receive the best rates from your lenders, you will have to make sure that your credit score is high enough. After you have bought a house with a mortgage loan, you may want to buy a car or apply for a new credit card. But that may prove more difficult than before, as a new mortgage could lower your credit score. There are three ways in which buying a home by taking out a mortgage loan can hurt your credit score. 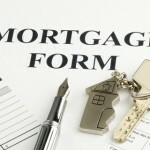 When applying for a mortgage loan, you will be scrutinized carefully by possible lenders. They will look at your employment status, your salary, your debt-to-income ratio and, most importantly, at your credit score. Your credit score will make the difference between receiving a low interest rate, a high interest rate, or no loan at all. The lender verifies your credit score by pulling your credit report. The consequence of having your credit score checked by a lender is a drop of 5 or less points. These inquiries will also be added to your credit report, where they will remain for two years. Your credit score will decrease whether you were approved or rejected for the mortgage loan. A new mortgage loan will be added to your credit report as a new large debt, which will decrease your credit score significantly. Applying for a new loan or a credit card after you have taken out a mortgage loan will be difficult, as most lenders will consider you a bigger default risk. The good news is that, even if this score drop will be quick and significant, your credit score will come back to its initial value within six months after taking out the loan, with the condition that your monthly payments are made on time, you keep your account balances low, and take out new loans only if it is absolutely necessary. Repaying a mortgage loan is a big responsibility, and late payments can have a large negative impact on your credit score. Even worse, missing payments can result in losing your home to foreclosure, as has happened to many people in recent years. Payment history represents 30 percent of your credit score, and a large part of your payment history is represented by your mortgage. Because the mortgage loan is such an important part of your payment history, even a couple of missed monthly payments can lead to a large decrease in your credit score. You should know that, while a new mortgage loan may decrease your credit score, this is usually only temporary, and your credit score will recover or even increase after a few payments are made on time. So, in the long term, a mortgage will actually be beneficial to your credit score, provided that you make monthly payments on time and don’t miss any. Mortgage loans and credit scores are closely related. It is your duty, as a prospective home buyer, to know and understand what your financial situation is, and act accordingly. Taking out an affordable mortgage loan and making payments on time will make the mortgage work to your benefit, and even increase your credit score over time. Your credit score is the most important factor when it comes to a mortgage loan. A low credit score can make your mortgage a lot more expensive than it needs to be, and can even prevent you from being granted a loan. Applying for a loan when you have a good credit score will guarantee you better deals from the lenders. A lower interest rate will make a huge difference over time, meaning that you will save money and make the overall cost of the mortgage loan much cheaper. But you should be aware that this goes the other way around, too. Your mortgage will actually affect your credit score both in a positive and negative way during and after the repayment period. A mortgage loan is your best friend at the point in life when you decide to become a home owner. Unfortunately, there are many factors involved in the mortgage process that will influence how much money you are going to have to pay for your new home. There is a very close relation between your credit score and your mortgage and, before we talk about what effects paying off your mortgage loan has on your credit score, let’s see how a mortgage affects it from the beginning. Even before you are granted a mortgage loan, your score will have to suffer a little. This slight decrease of maximum 5 points in your credit score happens because the lender that considers giving you a loan will have to pull your credit report in order to check if you are qualified for a loan. Each time your credit report is checked by a lender, your credit score is affected. You will notice a credit score decrease immediately after you buy a home using a mortgage loan. This decrease might be significant, and it happens because your mortgage loan will be added to your credit report. A mortgage loan is regarded as a large debt, and it will lower your credit score. You might encounter difficulties if you plan on applying for a new loan or credit card right after you have been granted a mortgage loan, because most lenders will consider you a risk for default. Six months after you are granted a mortgage loan and suffer the inevitable decrease in credit score, your score should bounce back to its original value. The only condition is that you make your monthly mortgage payments on time and don’t miss any. Your new mortgage can also have a positive effect on your credit score. Being responsible and making your payments on time reflects positively on your credit score, and will increase it slowly over time. If you stop making payments on time, or, even worse, if you stop making payments at all, your mortgage will have a large negative effect on your credit score. Your credit score could plummet by at least a hundred points in this case and you could go from a perfect credit score to a bad credit score in just a few weeks. Whether the effect of paying off your mortgage will be positive or negative on your credit score depends on your individual circumstances. Your credit score may increase or decrease, but this effect will be minimal, and will be outweighed by the fact that you will be getting rid of your monthly mortgage payments. Another advantage of paying off your mortgage loan is that you won’t be running the risk of missing or being late with a payment anymore, which would put a large dent in your credit score. Paying off your mortgage can increase your credit score if your ratio of available credit to what you have utilized is acceptable. Not using a lot of your available credit will put you in a favorable light, but the credit score increase will be a lot lower than if you paid off a credit card. It is actually recommended that you pay off your credit card loans before your mortgage loan, if you wish to increase your credit score. The positive effect that paying off your mortgage will have on your credit score will be minimal if your credit score is over 700, and insignificant if you have an excellent credit score, of over 760. Paying off your mortgage can decrease your credit score in the case that your mortgage loan is the only type of installment loan that you have. FICO counts each variety of loans that you have as 10 percent, so your credit score will lose a few points if you pay off your only installment loan. This decrease will be minimal and can be countered by having a pristine payment history for a long period of time, or by taking out a new installment loan, such as a car loan. Some experts believe that paying off a declining asset is not a good idea, and the money should be used to pay off other outstanding debts, such as credit cards. If, however, you have considered all your options and money is not an issue, then getting rid of those monthly payments might be a good idea. Paying off your mortgage will have a minimal effect on your credit score, so it should be a fairly easy decision to make. The biggest percentage of the FICO calculation goes to how well you paid your bills in the past. This section also takes into account any bankruptcies filed. Your current bill payment habits are stronger than your past paying history in how your credit score is calculated, but all of that still counts. If you have kept your payments up to date in recent months or years, but not in the past, this will create a stronger score than if it’s the other way around. When applying for a new loan, the amount of outstanding debt you have will be taken into consideration. Lenders want to make sure you will be able to make the payments on a new loan. The more debt you have outstanding, the lower your FICO will be. Keeping up with your balances and payments will help determine how your credit score is calculated. Lenders want to see a long track record of you paying your bills on time. A borrower who has made each payment, but has only had credit for a short time, will receive a lower FICO score than someone with a longer record of consistent bill paying. Having long-standing accounts with payments consistently made is favorable for lenders and this will increase your FICO score. Many people do not realize that just applying for loans can affect how your credit score is calculated. If lenders see a history of a large number of credit applications, it makes them think that your finances are not stable. Each time you apply for credit, it gets added to your report as an “inquiry.” Too many credit inquires will lower your FICO score. Different types of credit are considered by lenders as favorable as the mix shows your versatility in paying off what you owe in different financial areas. Keep in mind that your income and employment aren’t included in how your credit score is calculated. Rather, it’s the types of credit you’ve had and how well you’ve handled these by producing timely payments. Once you understand how your credit score is calculated, you may be able to rethink how you treat your finances to give you the best reputation with creditors as possible in case you need a loan in the near future. As you can see by the weighted system of FICO, paying your bills on time and not having an overload of debt are the two most important objectives in maintaining a good credit score.